To do this exercise you will need a mat. Start by lying on your back with your legs reaching towards the ceiling. Inhale to prepare and then exhale as you lift your head, neck, and shoulders and reach your arms to one ankle one ankle, the back of the calves, or the back of the thigh. This choice depends on the flexibility of your hamstrings. Then using the sniffing breath, inhale as you drop one leg for the ground and then inhale again as you switch legs. Then exhale for two leg switches, and repeat this movement pattern 5-7 times. To release hug your knees to your chest and release your head, neck, and shoulders to the ground. If you have Osteoporosis you can also do this exercise without lifting your head, neck, and shoulders. Like many of these abdominal series exercises it is harder to do this variation. 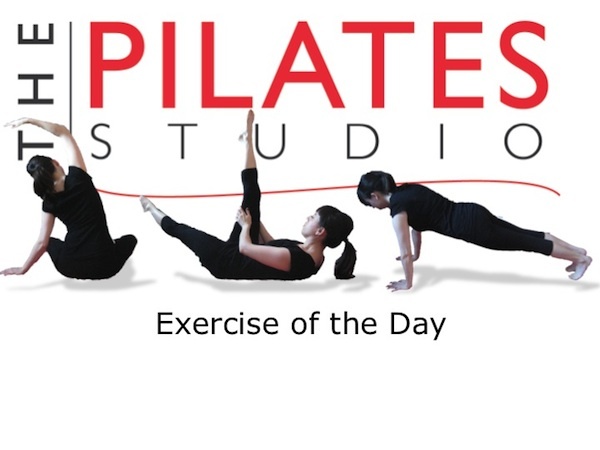 Be sure that you have found your very deepest abdominal muscles to stabilize your pelvis as you are moving your legs. In this exercise, you are lengthening every myofascial connection of the back of your body. Be sure to nod your head to find your deep neck flexors, soften your breastbone to lengthen the thoracic spine, exhale completely to allow the diaphragm to release to your lungs all of which lengthens the lumbar spine. Also, use your lower abdominals to glue the sacrum to the ground so that the legs can move freely in the hip socket.